Rais Sheikh suggests that all salaries should be raised to Rs 50,000. Mumbai: A corporator in Mumbai's civic body BMC has demanded a 400 per cent salary hike. 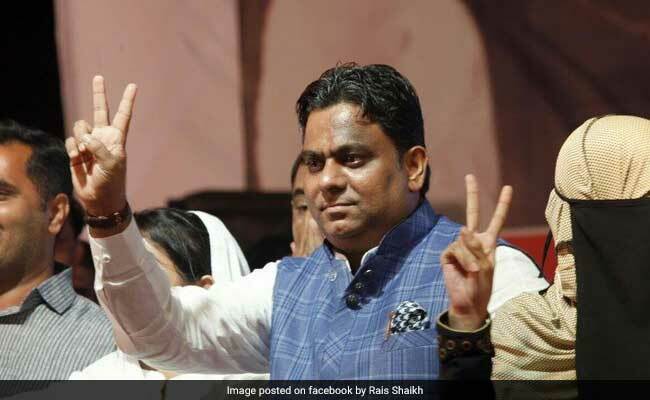 Samajwadi Party's Rais Sheikh says his demand is more than justified, given that the salary of a member of one of the richest civic bodies in Asia is Rs 10,000 a month. In a letter to the commissioner of the BMC or Brihanmumbai Municipal Corporation, Ajoy Mehta, Mr Sheikh argues that not only is his salary in the realm of "peanuts", the travel allowance to attend meetings is also Rs 150, which hardly covers it. Corporators need to attend the meetings regularly, he pointed out, and conveyance can be expensive. Mr Sheikh suggests that all salaries should be raised to 50,000 and the allowance to Rs 500 per meeting. He also writes that not all "corporators can pursue an alternative profession to help them earn a living." Speaking to NDTV, he explained, "My logic is to make this position as attractive as a corporate job to attract talent, young and experienced. Many who do courses in public governance do not join as the compensation is peanuts. Plus cost of operating the office has drastically gone up. This is not salary, this is mere compensation." There have been attempts in the past for a big raise for corporators. In 2012, there was a move to increase their salary to Rs 25,000 per month, but the plan didn't take off - the state is yet to approve this proposal. Such a proposal has to be cleared by the BMC standing committee and then the General Body Meeting, after which it is sent to the state government. Their counterparts in the assembly have been more fortunate. Last year, the salaries of lawmakers was increased from Rs 75,000 to 1,25,000-1,50,000 (Depending on the seniority it varies). BMC this year slashed its budget by a massive Rs. 11,911 crore - a cut of more than 30 per cent - to bring it to below Rs. 30,000 crore for the first time in four years. Many credited the BJP, which had promised a "principled budget" while campaigning for the civic polls earlier this year. The party won 82 seats while five-time winner Shiv Sena, ended up with 84. The corporation spends around Rs 2.7 crore a year for the salaries of 227 corporators. If they do get a hike, that would mean an extra spending of over Rs 13 crore a year.